How to watch RuPaul's Drag Race: Season 1 (2019) on Netflix Portugal! Yes, RuPaul's Drag Race: Season 1 is now available on Portuguese Netflix. It arrived for online streaming on January 10, 2019. 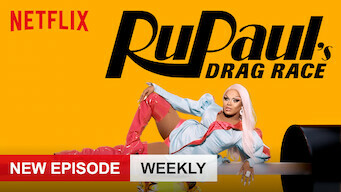 We'll keep checking Netflix Portugal for RuPaul's Drag Race: Season 1, and this page will be updated with any changes. Season 1 of RuPaul's Drag Race has 9 episodes. Because different Netflix countries have different availability for episodes, you'll need to check the episode listing below to see which are available in Portugal. Season 2 of RuPaul's Drag Race has 12 episodes. Because different Netflix countries have different availability for episodes, you'll need to check the episode listing below to see which are available in Portugal. Season 3 of RuPaul's Drag Race has 16 episodes. Because different Netflix countries have different availability for episodes, you'll need to check the episode listing below to see which are available in Portugal. Season 4 of RuPaul's Drag Race has 14 episodes. Because different Netflix countries have different availability for episodes, you'll need to check the episode listing below to see which are available in Portugal. Season 5 of RuPaul's Drag Race has 14 episodes. Because different Netflix countries have different availability for episodes, you'll need to check the episode listing below to see which are available in Portugal. Season 6 of RuPaul's Drag Race has 14 episodes. Because different Netflix countries have different availability for episodes, you'll need to check the episode listing below to see which are available in Portugal. Season 7 of RuPaul's Drag Race has 14 episodes. Because different Netflix countries have different availability for episodes, you'll need to check the episode listing below to see which are available in Portugal. Season 8 of RuPaul's Drag Race has 10 episodes. Because different Netflix countries have different availability for episodes, you'll need to check the episode listing below to see which are available in Portugal. Season 9 of RuPaul's Drag Race has 14 episodes. Because different Netflix countries have different availability for episodes, you'll need to check the episode listing below to see which are available in Portugal. Season 10 of RuPaul's Drag Race has 14 episodes. Because different Netflix countries have different availability for episodes, you'll need to check the episode listing below to see which are available in Portugal. Season 11 of RuPaul's Drag Race has 8 episodes. Because different Netflix countries have different availability for episodes, you'll need to check the episode listing below to see which are available in Portugal.